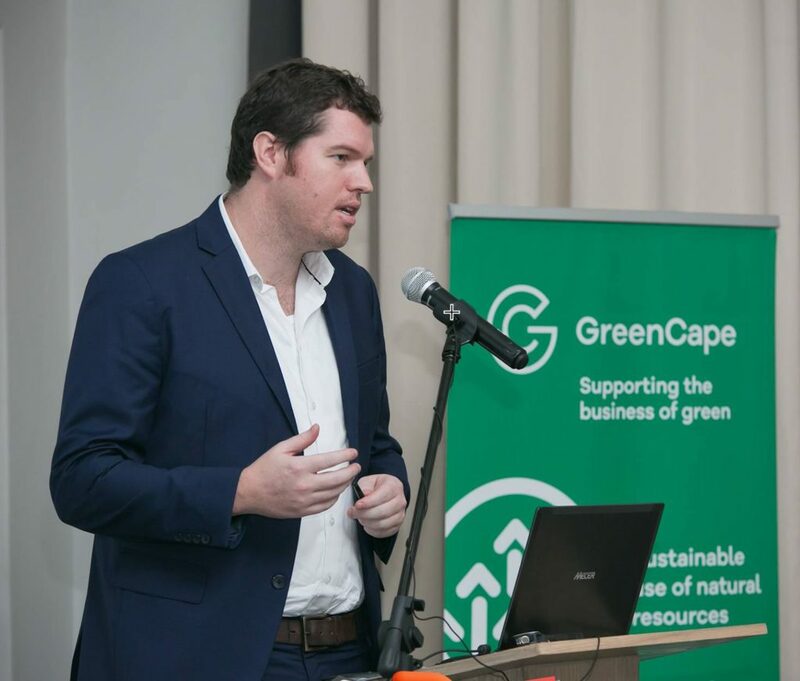 WISP is a free facilitation service, funded by the City of Cape Town as well as the Western Cape Government and delivered by GreenCape, the Sector Developmental Agency for the green economy in the province. By utilising an Industrial Symbiosis approach that connects over 490 member companies with unused or residual resources such as energy, water, assets, services, waste, transport, logistics and expertise, WISP enhances business profitability and sustainability within the Western Cape. The free-to-attend breakfast highlighted the value that WISP adds to businesses in the city and province with three companies sharing their resource efficiency stories. They detailed the changes they have made to energy and water consumption as well as waste management and how those changes have helped them to improve their business processes, operate more sustainably and save money. Chris Handt, ‎Operations Manager at ACA Threads, which has been a WISP member since its inception in 2013, unpacked the sewing thread manufacturer’s energy reduction journey. To decrease its electricity consumption, meters were installed in every department throughout the factory and the data from this was then analysed. Based on these findings, further interventions were implemented which included the staggering of machine usage, introduction of a variable speed drive compressor, changing all bulbs in the plant to energy saving ones and putting 131 KW Photo Voltaic (PV) cells on the roof. The outcome has been a drop in the factory’s monthly electricity usage from 130,000 KW to 100,000 KW with a saving of R40, 000. Furthermore, whatever electricity is not used from the PV cells is being pumped back into the grid. ACA Threads aims to continue cutting its electricity consumption and will be utilising lights with timers or motion sensors, replacing old motors with new inverter motors and adding additional PV capacity. GlaxoSmithKline’s (GSK) Tony Laughton shared that through its water conservation interventions, GSK experienced a 42% reduction in wastage over the past seven years. These have included the use of reject water from reverse osmosis tanks to supply water to the factory’s HVAC cooling towers, the installation of a solar hot water system to reduce water wastage whilst awaiting heating, retrofitting toilets with econo-flush systems and putting demand taps on 42 basins around the plant. After undergoing the City of Cape Town’s Water Star Rating Certification assessment, GSK received a 5-star rating for its water-saving efforts. Charles Dominion, Owner of Simple Active Tactics SA Pty Ltd, noted the value of waste for his business. As a manufacturer and processor of granular abrasives for sandblasting, most of the company’s products are made by using waste from industry. Through WISP, the company has now been able to add to its product line-up by using recycled glass offcuts from the glazing industry, 200 tonnes per month of which was being dumped in landfills. The resultant product is used as abrasives as well as in swimming pool filtration systems. The breakfast is one of the many networking opportunities offered to WISP members, comprising companies and organisations of all sizes, sectors and turnovers within the Western Cape. These are designed to help grow businesses and make them more resource efficient.